I scream, you scream, we all scream for … cookie dough? That’s the idea behind D.C.’s newest sweet shop, or rather, “scoop shop,” set to open this summer. WASHINGTON — I scream, you scream, we all scream for … cookie dough? 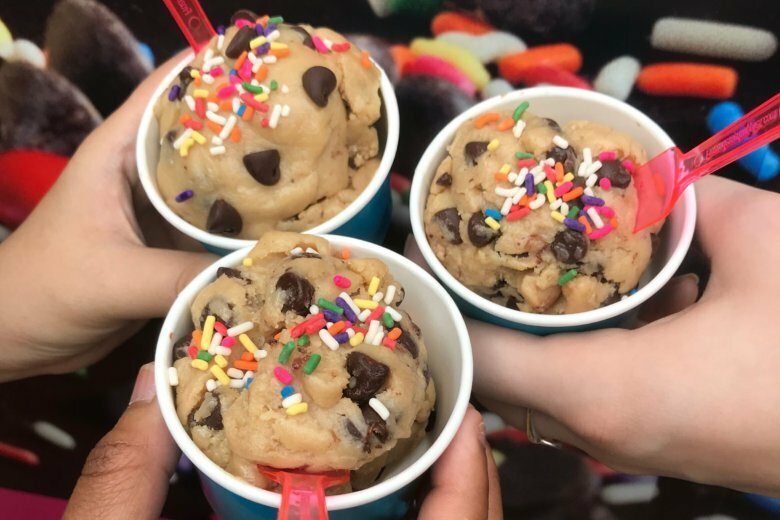 That’s the idea behind D.C.’s newest sweet shop, or rather, “scoop shop,” which will sell edible (aka: eggless) cookie dough in presentations generally reserved for ice cream — on cones, in cups and under sprinkles — when it opens in Georgetown on Aug. 4. Lindsay Goldin has been feeding Washingtonians’ comfort-food cravings since 2016, when she launched The Dough Jar. In the last two years, the D.C.-based company has grown from sampling its products in apartment building lobbies to packing around 2,000 jars of edible cookie dough each week to sell in more than 30 retail locations throughout the region. Goldin, 31, said opening her own store is just the cherry on top of her company’s success. “It’s going to be the hottest thing to hit D.C. We’re so excited,” she said. At The Dough Jar’s new Wisconsin Avenue location, customers will be able to order confections such as cookie dough ice cream sundaes, cookie dough ice cream sandwiches, cookie dough milkshakes and “brownie a la dough” (a brownie served with ice cream and cookie dough). The Dough Jar opens at 1332 Wisconsin Ave. NW on Aug. 4, 2018.